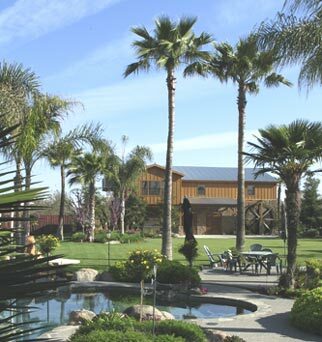 Surrounded by acres of Tulare County farmland and nestled among our towering palms, the Koetsier Ranch Banquet Barn provides a secluded yet convenient location for your big event. Just an exit ramp and three turns off Highway 99, and you're herein our delightful country oasis. The1600 sq. ft. hall in the barn features a fireplace and a bar. It's great for buffets, and it provides a cozy lounge for your guests. During the winter it is also available as an indoor banquet facility for smaller gatherings. 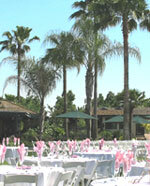 Services and facilities at Koetsier Ranch are not limited to banquets and receptions. An expansive lawn area will easily accommodate additional seating. 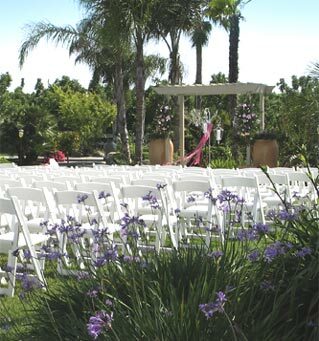 And our gazebo and garden surroundings can provide a lovely venue for a beautiful outdoor wedding ceremony. 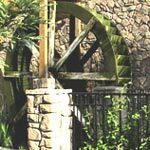 Our trademark water-wheel adds a rustic charm to the Koetsier Ranch landscape, which is rich with the serene settings and beautiful backdrops that professional wedding photographers love.